Have you or somebody you know been involved in a motor vehicle accident recently? If this is the case, it’s recommended that you contact us as soon as possible. Did you know that if you are injured in a MVA (Motor Vehicle Accident) and if treatment is required, it is funded by your CTP insurer at NO cost to you? 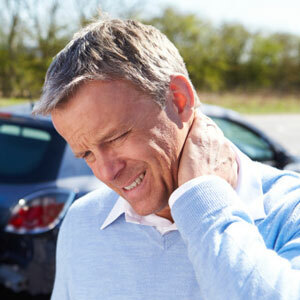 A personal injury after a car accident is protected by (CTP) Compulsory Third Party insurance. If you have been involved in an accident, you should record your version of the incident as soon as possible to assist with any queries that may occur during the claim process. If you’ve been involved in a motor vehicle accident, it is important to seek our care as soon as possible following the incident, even though you don’t feel any pain. According to a Canadian research conducted in Canadian research paper (Dies S.) cited that (MVA) motor vehicle accidents are a major cause of spinal injuries treated by Chiropractors. Results showed that patients who received Chiropractic care immediately, received a higher level of improvement than those who delayed the process. It also found that for patient’s who were injured in a car accident, the average number of Chiropractic treatments given was 14. Those patients who complained of headaches or low back pain required more treatments than average. If you have been injured, getting the right care early is vital. Contact Wholistic Health Centre today to find out if your treatment can be funded by your CTP insurer and at NO COST to you. We offer two convenient locations for care: Wolli Creek and Kareela.